2) Heart patients who wish to go through rehab and need some information. 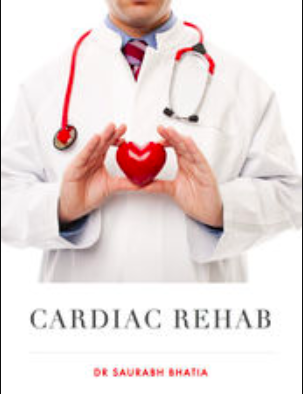 The book contains a full program for rehab with consent form, Par-Q-mod form, videos about all aspects of cardiac rehab which can be shown directly to patients and forms to monitor progress. This book is available for download with iBooks on your Mac or iOS device (from USA iTunes store only). Multi-touch books can be read with iBooks on your Mac or iOS device. Books with interactive features may work best on an iOS device. iBooks on your Mac requires OS X 10.9 or later.